The coming-of-age genre is one that we have continually returned to throughout the years. As the times change, so do the themes that these films choose to tackle. We once lived in an era where it seemed like we were destined to only get films about straight white males and females as they went through the ups and downs of friendships, romance, and discovering where they want to go in life. There are great stories to be told when it comes to that familiar mold, but they aren’t the only great stories we should be telling. With Love, Simon we’ve thankfully hit a turning point for the genre. The film follows Simon (Nick Robinson), a completely normal teenager who loves his family, his friends, and enjoys doing typical teenager things – he just happens to be gay and hiding it from everyone he knows. When an anonymous post goes online about another closeted gay kid at his school, the two of them anonymously begin to share their experiences of being closeted with one another. As their messages get more personal, Simon not only falls for this anonymous classmate but is also forced to come to terms with his secret and whether or not he’s ready to reveal it to everyone he knows. We’ve gotten a ton of great independent LGBTQ films throughout the years – Moonlight being the obvious highlight. However, it’s crazy to think that Love, Simon is actually the first of its kind when it comes to commercial/mainstream cinema being completely centred on a gay main character. Yes, we’ve had great characters who are openly gay in mainstream films before – but it’s undeniable that this is one of the first to be so open about a teenager dealing with his sexuality. One of the most admirable qualities of the film is just how straight-forward it is and comfortable it is in its own skin. It doesn’t tip-toe around the fact that Simon is gay – it is the driving force of the film from start to finish. At the same time, the film doesn’t try to make that his only characteristic. He’s a teenager who is full of many anxieties, quirks, and genuine flaws that the film doesn’t easily let him off the hook for. 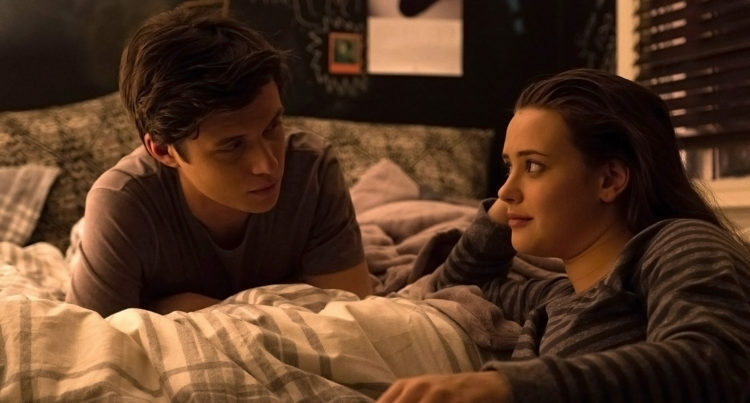 Love, Simon could have easily made its titular character a completely innocent lead. Instead, the film digs into the consequences of Simon’s actions and makes him examine how long he can really stay untrue to himself. It’s a theme that I wasn’t expecting to find here, but by the end, I found it highly resonating and honest. The film wouldn’t work if Nick Robinson didn’t deliver the goods as the lead. Luckily, this is the kind of performance that makes a star out of someone. Robinson exudes such a natural and charming charisma to where I instantly fell in love with the character and was able to root for him even when was making questionable decisions. The best moments of the film feature Simon spending time with his friends and family. 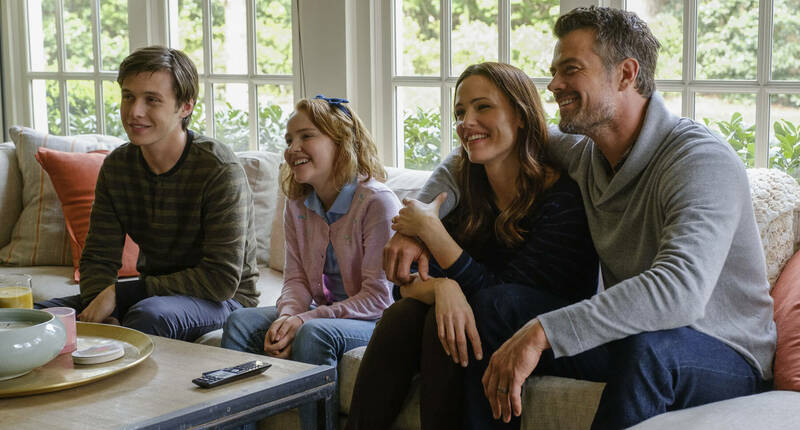 Whether they are heavily heartfelt moments or simple sequences of levity and wit, they all make these characters feel more nuanced and realistic. There’s one scene in particular between Simon and his life-long friend Leah (Katherine Langford) that feels as if it was ripped right out of a John Hughes movie due to its hard-hitting yet quiet honesty. Both Josh Duhamel and Jennifer Garner are great here as the openly liberal parents who Simon still finds difficult to approach when trying to address his sexuality. One of the most interesting dynamics that the film has to offer is how Simon knows that none of his friends or family are homophobic, but he still finds small reasons to not tell them about his secret. As far as my issues with the film go, my only notable gripe was that I did find the third act reveal of Simon’s love interest to be particularly rushed after such a massive build-up throughout. The answer itself isn’t particularly disappointing and it does deliver a great moment that just might become iconic, but the film wraps everything up so quickly after the reveal occurs that you don’t really have much time to let it soak in. I could nitpick in a few other areas if I really tried to, but this is the kind of film where its heart is just so warm and cozy in the right place that not much bothered me here. I was completely charmed and immersed in Simon’s feelings and complexities from the get-go. This isn’t necessarily a perfect film, but I adored nearly every aspect of it regardless. 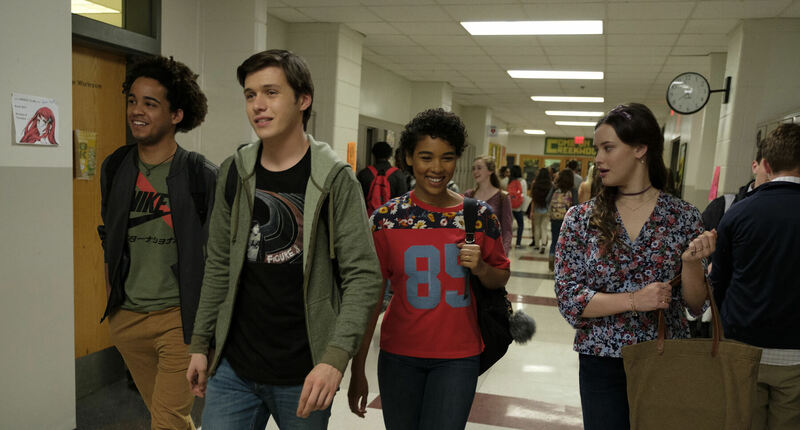 Even aside from its cultural significance, Love, Simon is just simply a great story about being true to yourself and those who around you. 4/5. REVIEW — "A Wrinkle in Time"